I received the Clinique Sonic System Cleansing Brush as a present in May 2015 and have basically used it everyday since. I doubt I could live without it now, I use it every morning and night for two minutes with a foaming facial soap, it removes any make up and dirt that remains after cleansing and toning. The brush is the perfect size and light-weight which is handy for carrying around and taking it wherever you go. What I really love is how good the battery is on this product, you simply charge it for 24 hours and the battery seriously lasts for about 2/3 months. 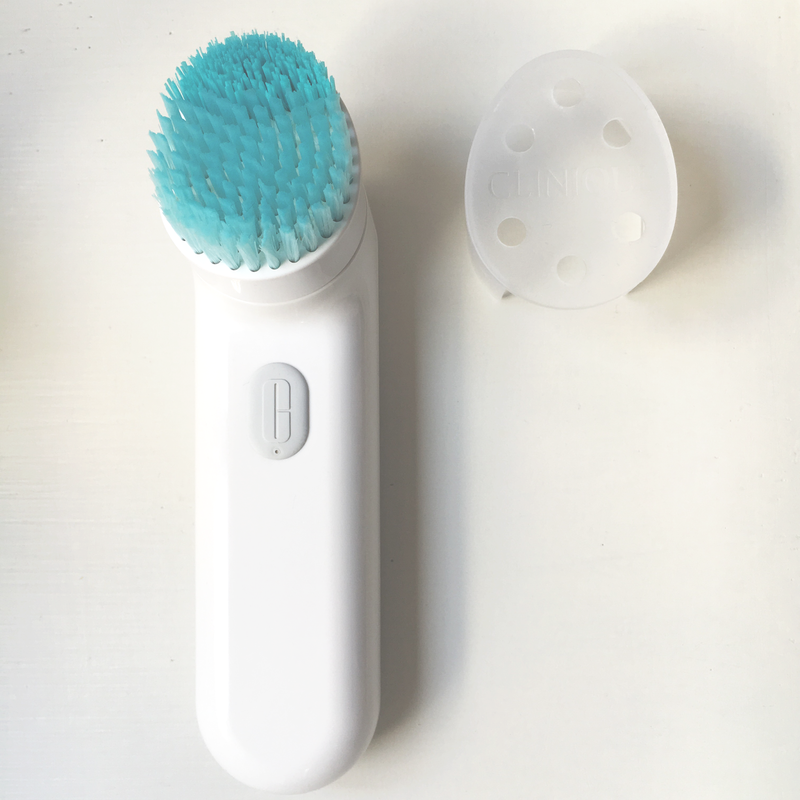 Personally I use the Anti Blemish brush head because I do get quite a few spots although it is not as severe as acne. This brush head is designed to give a deep clean to keep your pores clean. 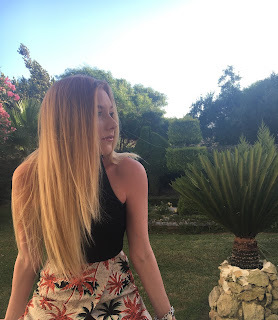 This does not stop my spots altogether but I do feel like it helps to speed up the process of getting rid of them and they do not appear as big or red as they used to. Clinique advise you to buy a new head every 3 months. 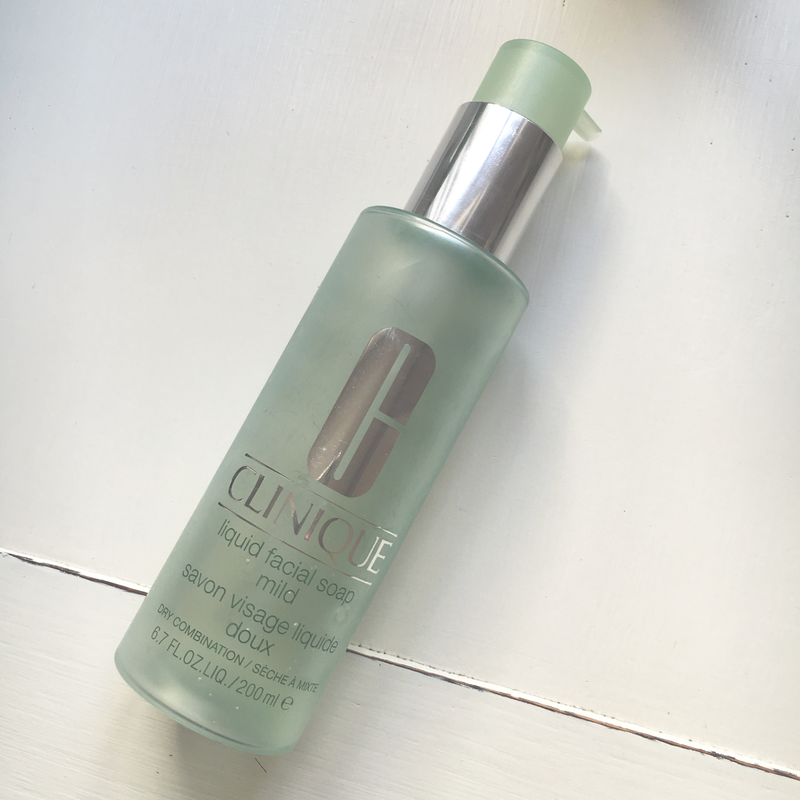 Clinique's Liquid Facial Soap is one of my favourite facial washes. It foams up and really makes your skin feel clean and refreshed and the bottle just lasts forever! 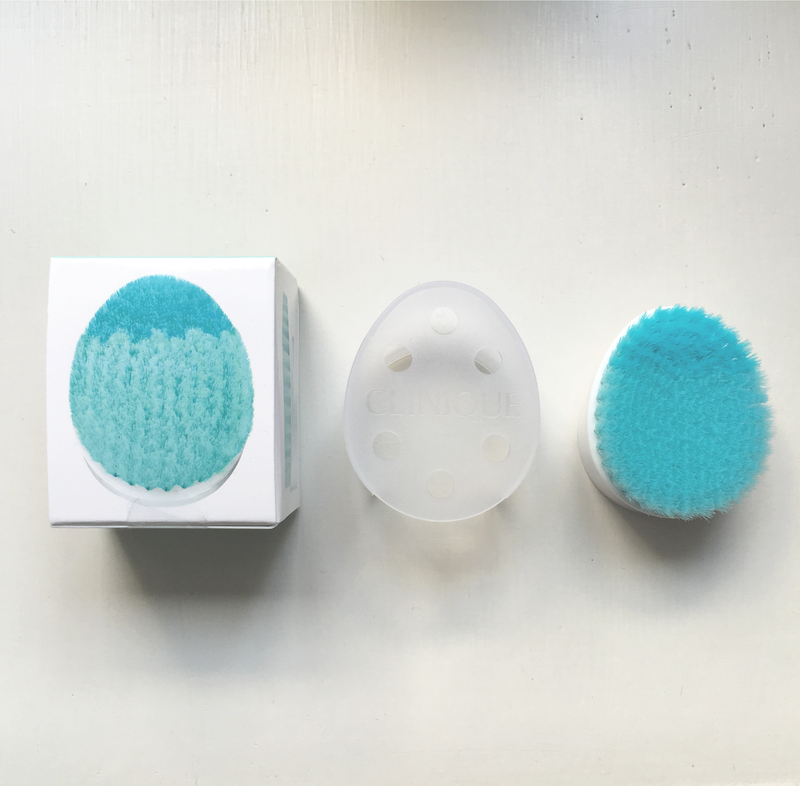 One pump onto your cleansing brush will do and for £16.50 I think it is really worth investing in if you have the cleansing brush. 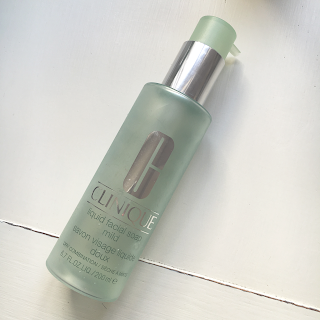 What do you think of Clinique products? 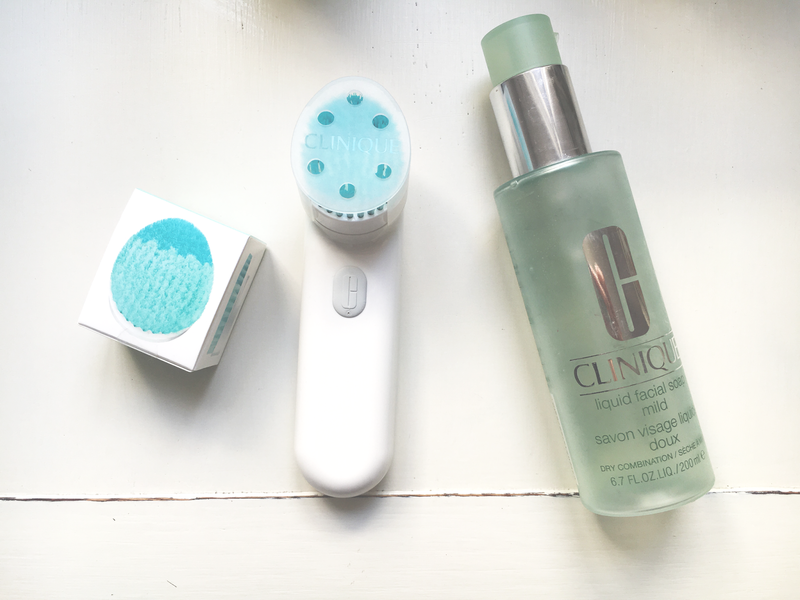 Would you like me to talk about the anti-blemish products from Clinique? 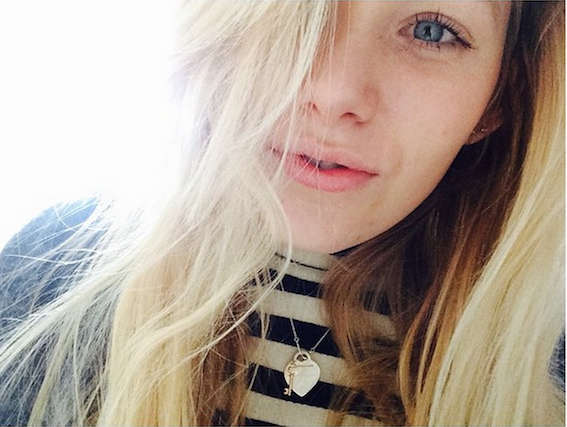 Follow me on Bloglovin' to never miss a post!